Mihaela Kavdanska works as media artist, creative director, researcher, producer of art & culture events, curator of exhibitions & festivals. Bulgarian born, based in Romania and Austria. Since late ’90, she's been working on personal and collaborative projects, exhibited and performed in galleries, museums, dance centers & theaters around Europe, USA & Asia. Mihaela Kavdanska creates live experience and process based visual art works, where the constant exchange of perspectives plays an important role. As visual artist, she's been interested in renewing artistic language and mastering both traditional and new means. Lately, she’s been concerned with the creative balance between Art and Technology, focusing on immersive AV installations and intermedia dance performances, where the intermedia oneness plays main role. Short selection of venues & events: National Museum for Contemporary Art, Bucharest; Essl Sammlung Museum, Wien; National Museum of Foreign Art, So a; Cleveland Public Theater & Playhouse Square; Ars Electronica Festival; DAfest; Videomedeja; Simultan Festival; CAMP Festival; Post Screen Festival; Kinetica Art Fair, VIENNAFAIR, eXplore Dance Festival, Crossing Europe Festival, Tanzhafen festival, etc. 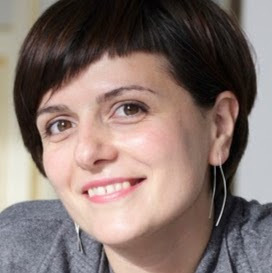 Mihaela Kavdanska is initiator, co-founder & artistic director of AVmotional Platform, founded in 2004, in Bucharest. Since 2006, she is co-founder and creative director at KOTKI visuals, Art & Technology studio based in Bucharest & Linz. AVmotional Platform and KOTKI visuals are organizations run together with the media artist & producer Dilmana Yordanova.